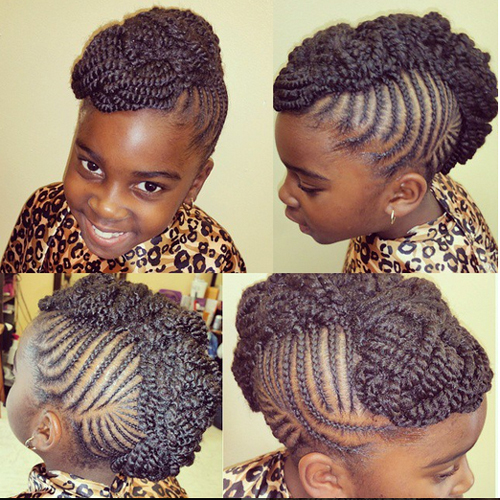 Donning a remarkable hair style is the dream of every woman irrespective of age. 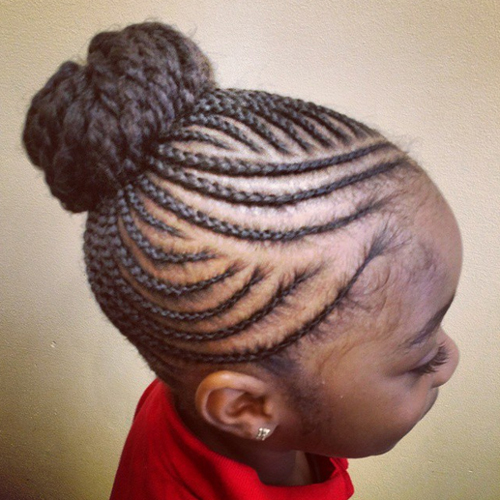 Black women have what is referred to as Afro-textured hair. 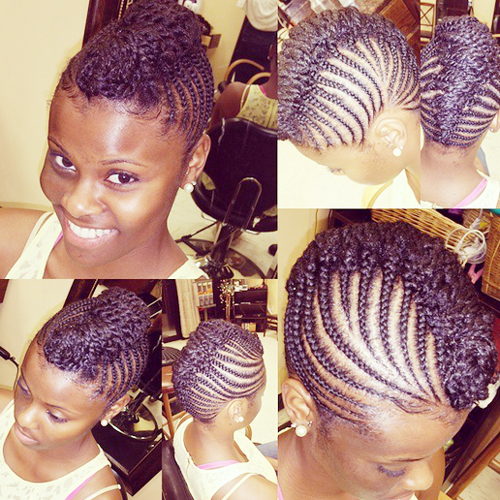 Each strand of this type of hair grows in a tiny spring styled helix shape. 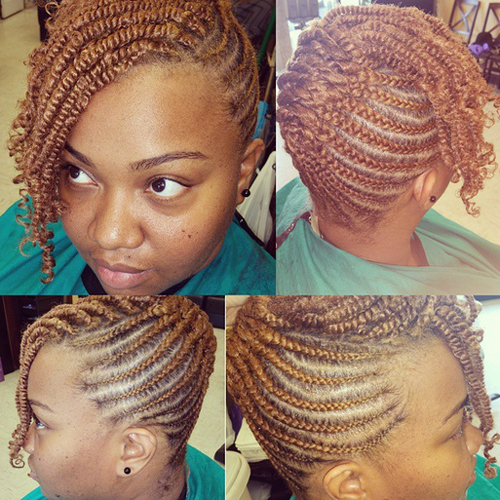 One big advantage of this kind hair is that it is possible to style it in virtually any pattern and design. 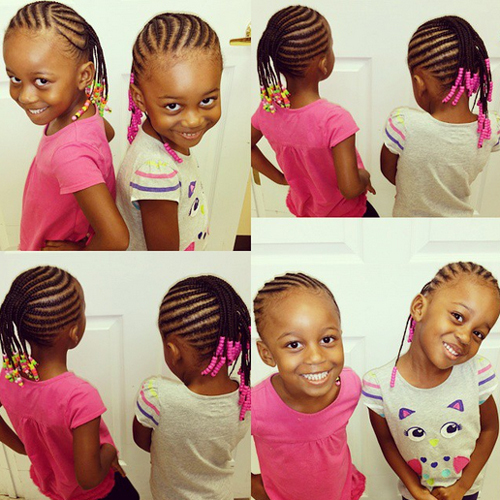 There are many versatile and very trendy children’s braids black hairstyles available for black kids. 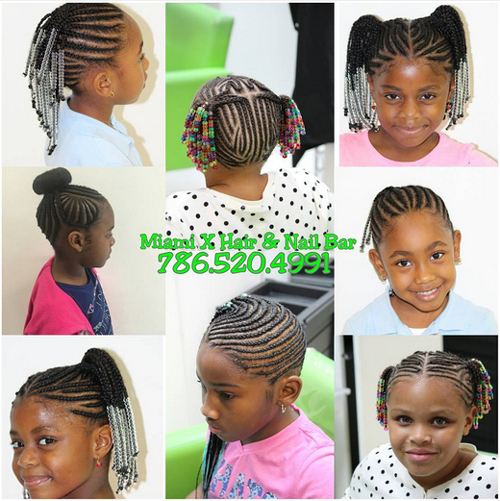 A major challenge to most people is to determine what hair styles are available that will enhance their overall physical appeal and leave them comfortable in the process. 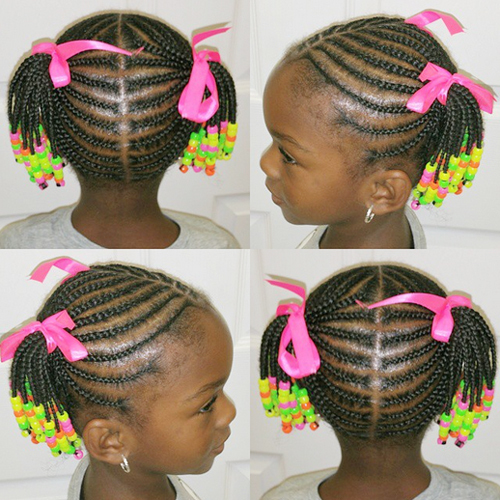 The beaded braided pigtails are one very popular and fancy hair style especially for little black girls. 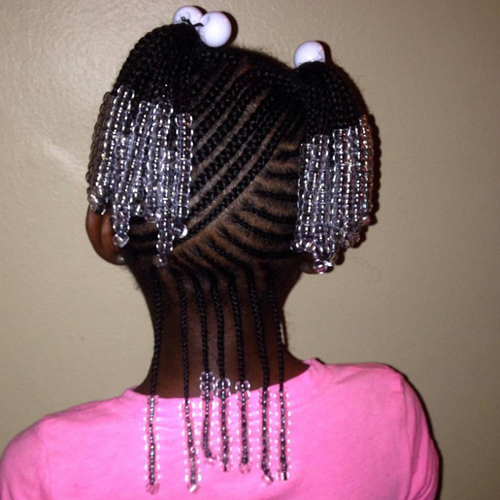 This style uses plenty of beads which clink merrily as the girl takes every single step as she walks. It is a delight to most of these wonderful kids. 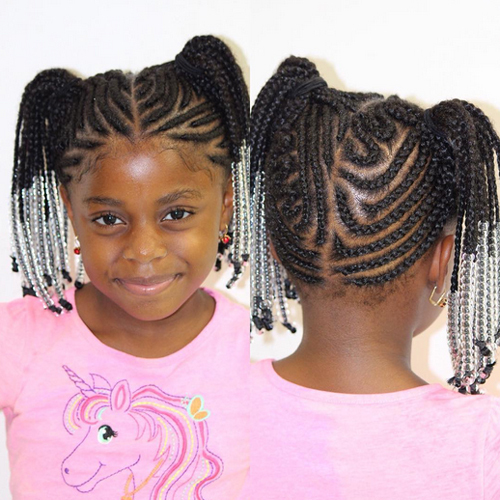 The heart shaped braids and cornrow is another fantastic hair style for black women and girls. 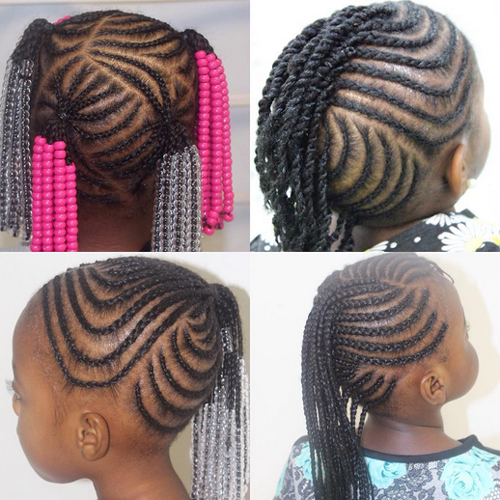 As the name implies the lovely braids are designed to take the shape of the heart. 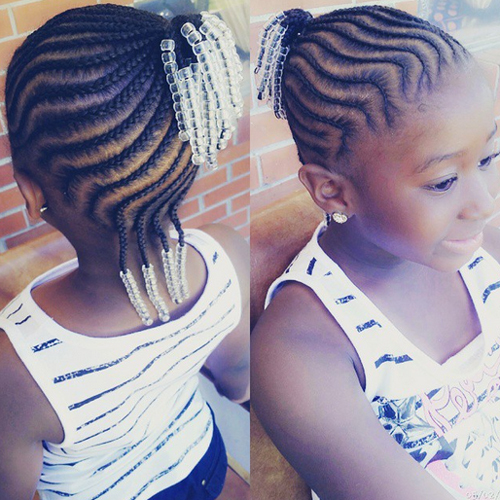 The style protects the natural hair and makes a superb design on the head. 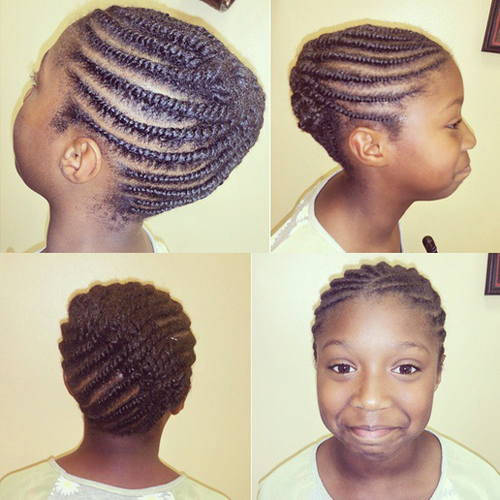 The La Bella Rosa is a rather formal but elegant and stylish hairstyle. The beauty of it is that one can even switch up a flower top match the out fit that the child is in. 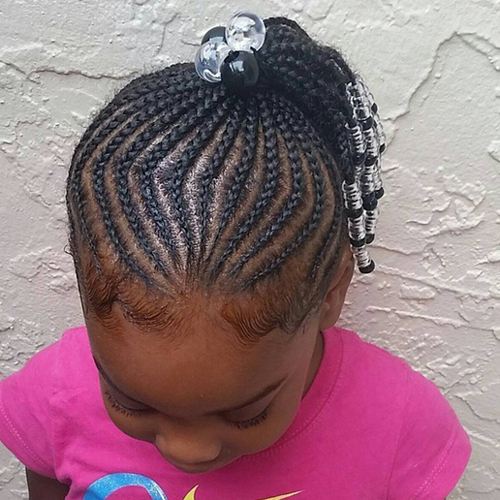 In case you need the child to wear a hair style that allows the hair to flow downwards naturally, think of the Vixen Sew-in. 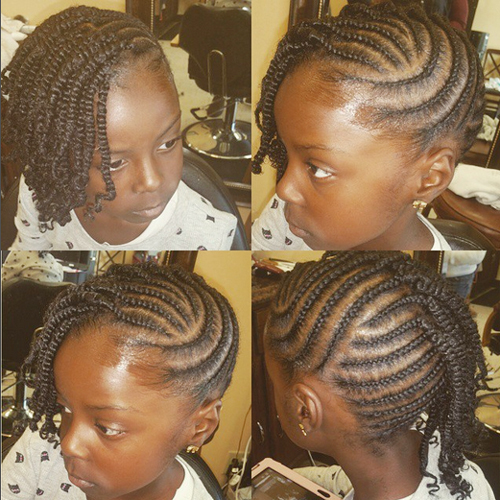 This style however is for kids who are old enough for a sew-in. 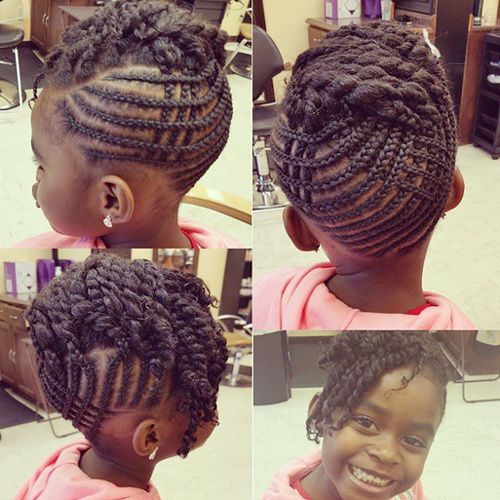 The delight of this style is that it allows the girl to even play with it the length of the hair. 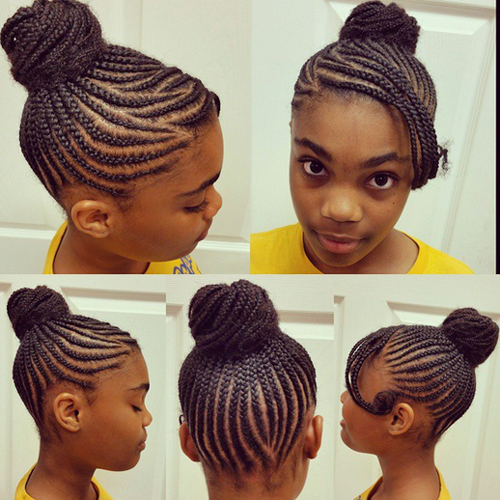 The single braids style is definitely one of the ultimate styles for the Afro girl. 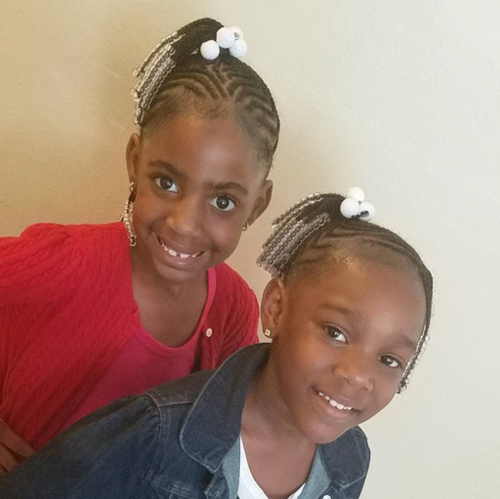 The good thing about it is that it can last quite a long time if it is properly taken care of and barrettes and bows can actually be added to spice it up even further. 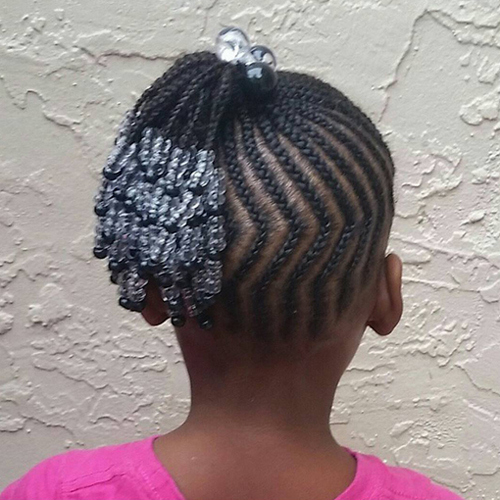 The braided up-do is a very cute and protective children’s braids black hairstyles. It is quite easy to maintain by simply undoing the top part. 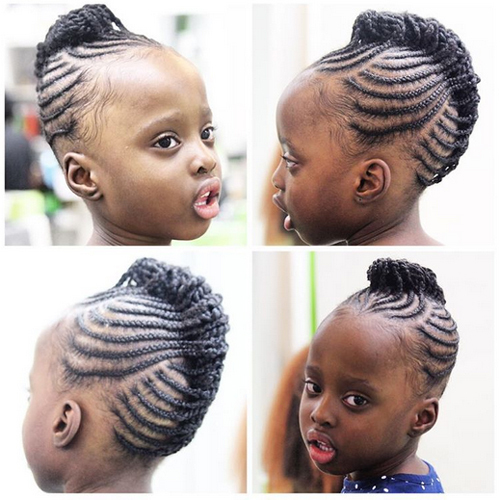 The style gives the little madam a formal but very cute look. It is simply adorable. 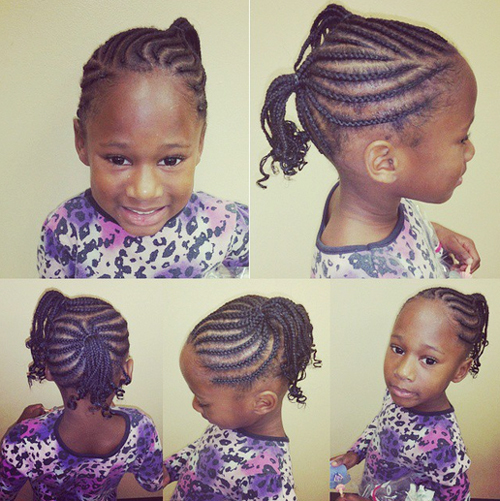 The cute braided mohawk is yet another fashionable and trendy hair style for your little girl. 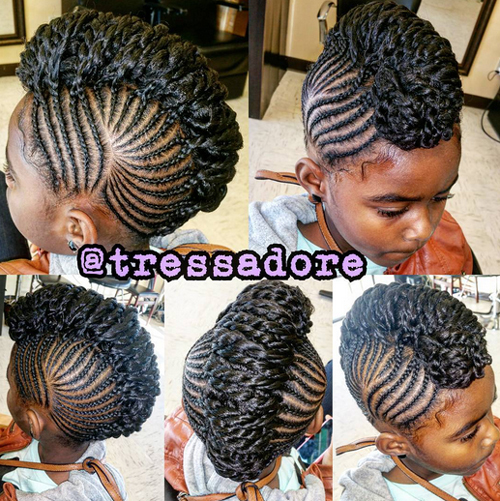 This style is very funky and versatile. 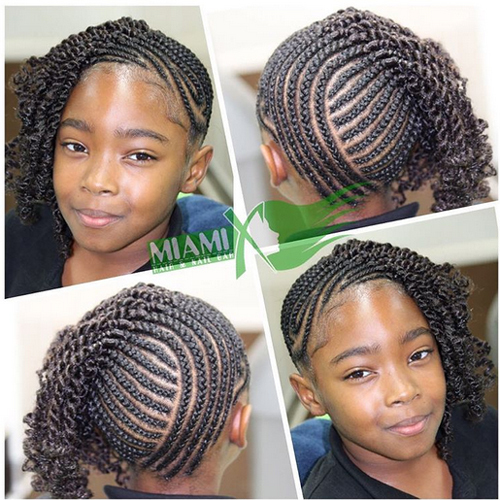 To enhance its protective capacity to your little girl, you can actually braid the braids to the end or better still, finish those braids with twists for a great look. Think also of the invisa cornrows. 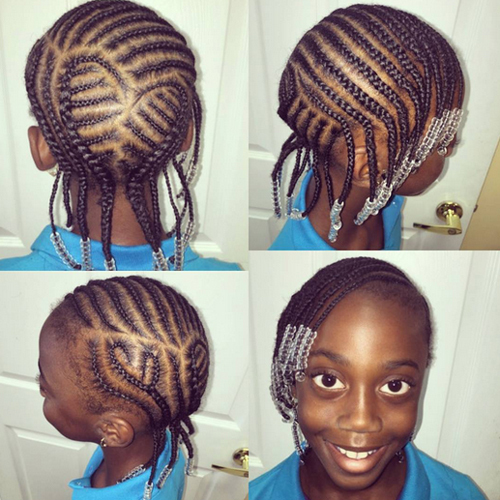 This is a unique style that needs quite skills in braiding. However rest assured it offers uniqueness and a great sense of creativity. You will certainly agree that this style qualifies for a show stopper. 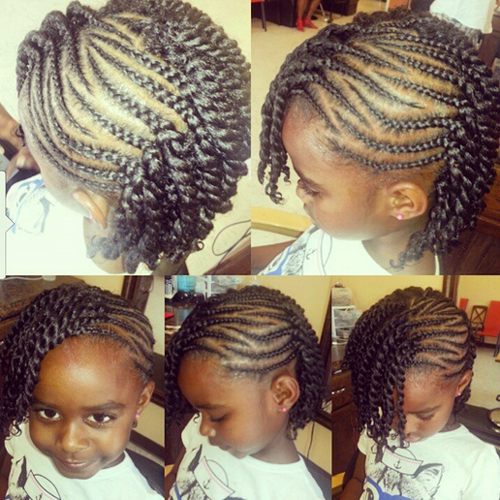 Definitely there is no shortage of children’s braids black hairstyles to choose from. 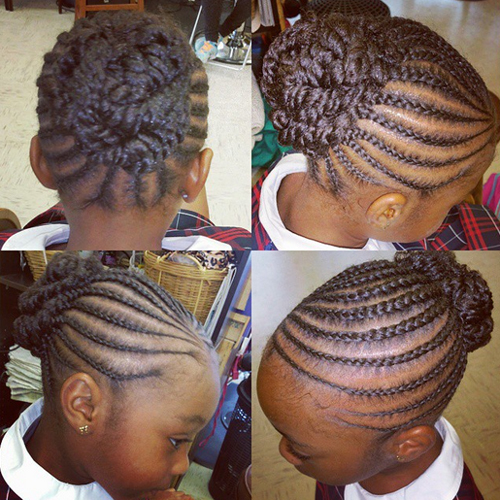 Just determine which styles best fits the young girl. 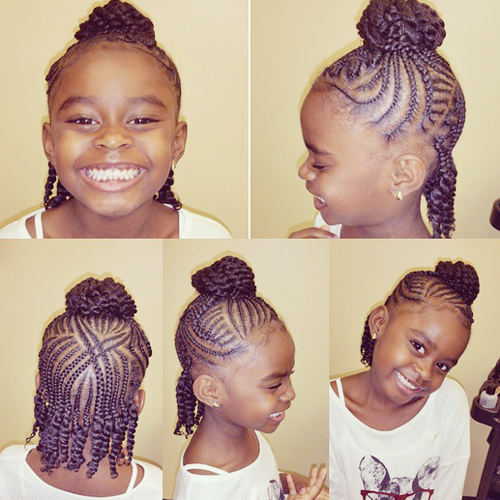 Once that is done get the experts to give your kid that adorable look that will certainly raise the beauty and self esteem of your princess. 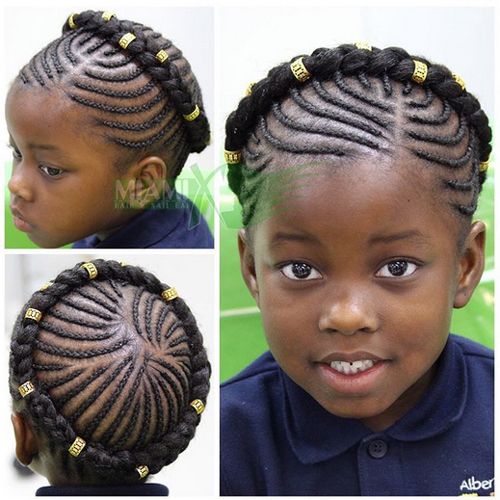 I was looking for a new braid hairsyle for my son. I’m in love with the third one! Looks so beautiful, stylish and fresh! I really hope he’d like it. he’s a little dandy, alway wants his hair to look fashionably! 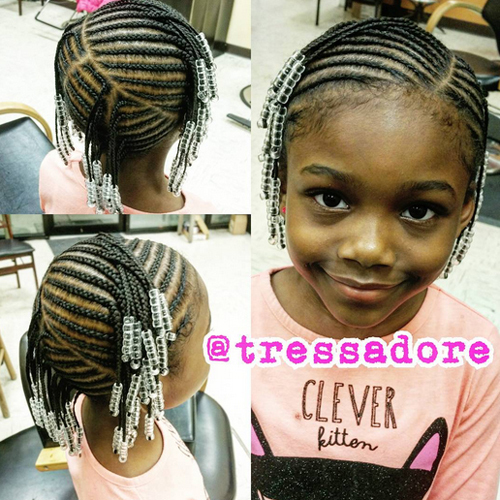 Oh, those tiny braids are indeed so lovely! 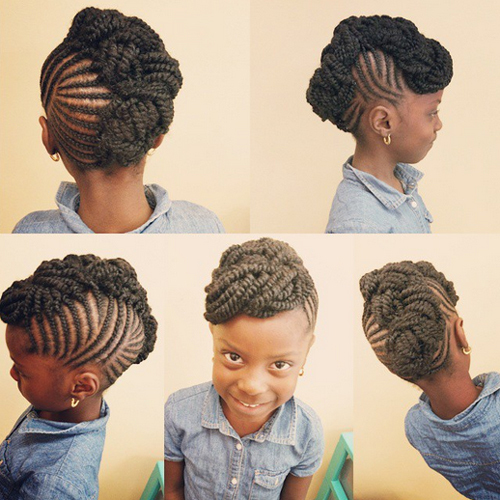 I’d love my daughter to try one of these hairstyles, but afraid I’ve no skills to do one myself. 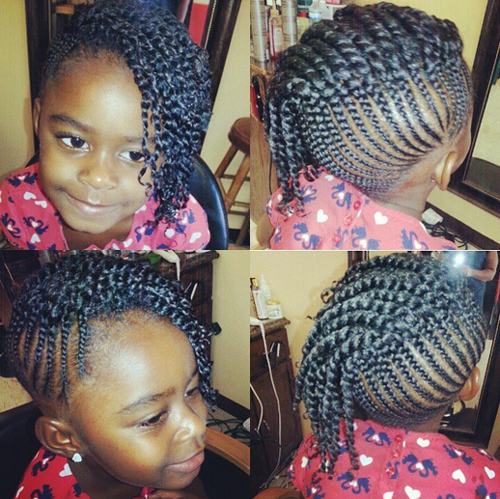 Fishbone braids is all I’ve mastered so far.